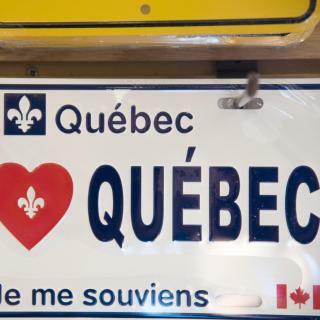 Looking for deals in Quebec City? Ideally located in Old Quebec, this heritage property features views of the St. Lawrence River. The on-site restaurants provide a variety of dining options, from classic to regional dishes. Great location and great historical place. Downtown Old Quebec City is 2 minutes' walk from this boutique hotel. Located in the house of architect Jean Baillairge, each room is uniquely decorated. Amazing experience in a best location. Staff made all the difference! Thank you very much! Only 15 minutes' drive to Old Québec, this hotel is located in the center of Québec City, close to many area motorways. Free WiFi is provided. The staff, was super helpful. This modern Old Quebec hotel is 5 minutes' walk from the Noter Dame de Quebec Cathedral and 10 minutes' walk from the Museum of Civilization. It features on-site dining. 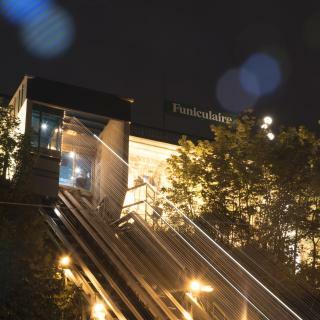 The place is near the train station, makes us easier to go back home. Only 9.3 mi from Old Quebec City, Chateau Repotel Henri IV provides free WiFi. A flat-screen TV is featured in all guest rooms. Jean Lesage International Airport is 3.1 mi away. Location to all parts of Quebec and surrounding areas was great. This hotel is just 4.7 mi from downtown Québec City and next door to Laurier Québec. It features 2 on-site restaurants, a gift shop, and an indoor pool. The staff was courteous and friendly. Could not ask for more. Located in Quebec City, this modern hotel offers free parking and is only 10 minutes' drive away from Old Quebec. It features an on-site restaurant and free Wi-Fi throughout the hotel. The facility was close to highway and commercial. Located in the Centre-Ville of Quebec City, Les Lofts Ste-Anne has rooms with free WiFi. Popular points of interest nearby include Morrin Centre and Old Quebec/Vieux Quebec. Host julie is super helpful!!! Housed in a 19th century building in the heart of Quebec's Old Port, this hotel blends historic charm with state-of-the-art amenities and offers massage services and easy access to attractions. Phenomenal hotel in the heart of old town Quebec City. This charming hotel, located in Quebec's Old Port, is seconds from the waterfront and offers a 24-hour front desk, concierge service and business center. Great location. Very comfortable beds. Close walk to the sites in Vieux Quebec. This hotel is located in Old Quebec and is a 5-minute walk of Citadelle de Quebec. The hotel features a rooftop terrace and free Wi-Fi in every room. amazing location. so close to everything. The staff are so helpful and welcoming. Nestled among 400-year-old buildings and ideally placed within the walls of Old Quebec, this exceptional boutique hotel provides state-of-the-art amenities, comfortable accommodations and is seconds... Location, friendly staff n big room. Le Clos Saint-Louis is located in Old Quebec, within walking distance of Galerie D’Art du Chateau Frontenac. Free WiFi is offered. My wife and I spent 2018 Christmas here . What a great experience. The hotel is perfect ! 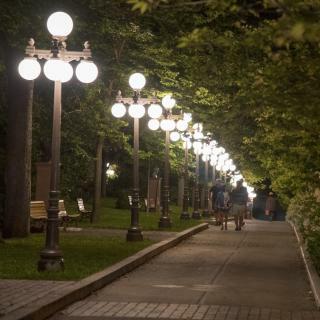 Which neighborhood is the best one to stay at in Quebec City? Old Quebec, Old Quebec - Upper Town, and Old Quebec - Lower Town are popular with other travelers visiting Quebec City. Which hotels in Quebec City are good for families? Many families visiting Quebec City loved staying at Hotel du Vieux Quebec, Hôtel Le Germain Québec, and Les Lofts Ste-Anne. 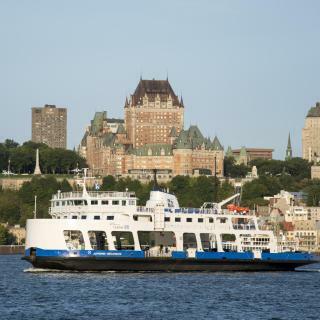 What are the best hotels in Quebec City near Fairmont Le Chateau Frontenac? 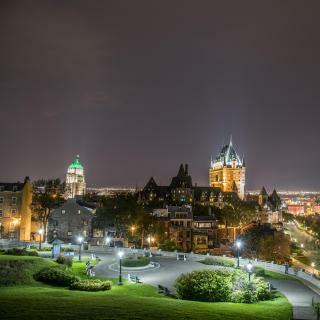 Some of the best hotels in Quebec City near Fairmont Le Chateau Frontenac include Hotel du Vieux Quebec, Hotel le Priori and Hotel Manoir D'Auteuil. How much is a hotel in Quebec City for tonight? On average, it costs $99 per night to book a 3-star hotel in Quebec City for tonight. You'll pay around $147 if you choose to stay in a 4-star hotel tonight, while a 5-star hotel in Quebec City will cost around $258, on average (based on Booking.com prices). Which hotels are the best ones to stay at in Quebec City? Hotel le Priori, Fairmont Le Chateau Frontenac, and Hotel Manoir Victoria are some of the popular hotels in Quebec City. How much does it cost to stay in a hotel in Quebec City? On average, 3-star hotels in Quebec City cost $94 per night, and 4-star hotels in Quebec City are $128 per night. If you're looking for something really special, a 5-star hotel in Quebec City can be found for $261 per night, on average (based on Booking.com prices). 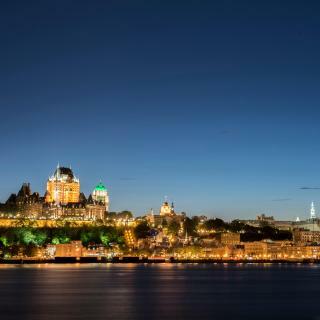 Which hotels in Quebec City have nice views? Les Lofts Ste-Anne, Hotel PUR, Quebec, a Tribute Portfolio Hotel, and Fairmont Le Chateau Frontenac got great room view-related reviews from travelers in Quebec City. How much is a hotel in Quebec City for this weekend? The average price per night for a 3-star hotel in Quebec City this weekend is $319 or, for a 4-star hotel, $304. Looking for something even fancier? 5-star hotels in Quebec City for this weekend cost around $533 per night, on average (based on Booking.com prices). Which hotels in Quebec City offer an especially good breakfast? For hotels in Quebec City that serve highly-rated breakfasts, try Hôtel Le Germain Québec, Hôtel Sainte-Anne, and Hotel le Priori. What are the best hotels in Quebec City near Québec/Jean Lesage International Airport? Travelers who stayed in Quebec City near Québec/Jean Lesage International Airport (YQB) have said good things about Econo Lodge Quebec Airport, Howard Johnson by Wyndham Quebec City, and Super 8 by Wyndham Quebec City. Which hotels in Quebec City are good for couples? These hotels in Quebec City are highly rated by couples: Hotel le Priori, Hotel du Vieux Quebec, and Hôtel Le Germain Québec. A capital city rich in history and culture. A capital city rich in history and culture. 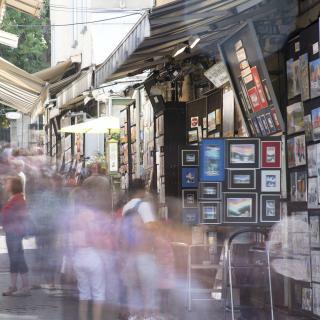 The old city has numerous historic artchitectural delights and numerous places for shopping, dining and entertainment. The downtown area has a modern convention center (where I attended the city's annual book show), as well as shops and restaurants along St. John, Rene-Levecue and St. Joseph streets. There are also three shopping malls in the Ste-Foy area that are interconnected with each other, forming a large shopping complex. Best to navigate by walking, biking or busing, as traffic may be hairy in parts and downtown parking can be expensive (C$18 for 12 hours at Marie-Guyart on weekends, as an example). We’ve stayed there for 3 full days, the Old Quebec is fascinating with its historical buildings, architecture, walking streets. Had a chance to visit just the few of its attractions: Montmorency falls, Musée National des beaux-arts du Quebec, Aquarium of Quebec. Great experience and lots of impressions despite the low season we’ve chosen (early March). The food is marvelous, lots of places to dine! There is so much to love in old Quebec City. Beautiful, quaint city with gorgeous views, amazing food and lots of stores and things to do. Lots of places to walk. We didn't travel outside the city but right near the harbour so you get the best of city and ocean. Both hotels we stayed in were amazing but we adored Hôtel Sainte-Anne and can't wait to go back there; such a good price for outstanding accommodation. Definitely recommend eating at the Le Chic Shack (food and shakes wee incredible! Specifically the Slated Caramel) and Chocolato Vieux-Québec is overwhelming with choice! Found a hidden gem of a pub in the more "down-town" area called Pub L'Oncle Antoine. Beautiful, very European with an artsy vibe. Beautiful, very European with an artsy vibe. Very walkable with lots to do and terrific restaurants. The ones enjoyed most were Ophelia and Chez Boulay. If you’re not staying at the Château Frontenac, be sure to stop by SAM’S for a drink- it’s pricy but it’s a fabulous place to just kick back and relax. Between the history, culture and architecture Quebec is a great place to travel alone or with a group. Everyone I met was pleasant and spoke English and was willing to teach you French if you asked. I ate often at Bistro 1640, and walked pretty much everywhere. I would say book a walking tour, a bus tour and visit all the Museums you can. Fantastic location to walk to the old town and for us to get to the cruise terminal. Staff went out of their way to help - fantastic staff in Reception and the Manager was very helpful organising a reservation for a special birthday dinner, nothing was a problem for them. Well recommend this hotel for a great place to stay. Rooms were lovely. Stayed here 4 days - staff was always polite, room was clean, equiped with everything needed. Beds were extremely comfortable. Nice restaurant on site. Great place to stay for visiting Quebec - leave your car at the parking, hop on bus 11 (stops a minute walk from the hotel) and 40 mins later you will be in the heart of the old town. The location was ideally close to all the sightseeing locations in Old Quebec. The facility itself was great, clean and quaint. And, although, the facility does not have parking, the hotel does have a relationship with another hotel (located around the corner) that provides parking for a fee of $15 Canadian a day. The staff was amazing. They upgraded us to the newly renovated part of the hotel and it was worth it. Beautiful renovations, big bed, great amenities, I wanted to stay longer! Plus it was only a 15 minute drive to Old Town Quebec — so good location for the price! Location is fantastic facing the Fontanac, at the heart of the old town, great service, excellent restaurant that's like one you would go to anyway, not because it's part of the hotel, everything immaculate. Absolutely phenomenal staff, Offered to carry our bags to our hotel that was exchanged and they had valet car service for parking as there was none in old town Quebec. Would highly recommend this hotel! Comfortable, great location in Old Quebec. Close to the riverfront & Museum of Civilization. The hotel staff surprised us with a bottle of champagne for my wife’s birthday. Thank You! Superb location. The staff were really nice. The amenities were top notch. The bed was very comfortable. One of the best looking hotels in Old Quebec. Perfectly located in Old Quebec. Walking distance to everything. Quiet. Super charming old home turned hotel. Croissants to die for! Pure magic! The location was right in the middle of old town Quebec. Good location, very clean, easy to find and close to all the sights. Everything was excellent! The location is just perfect.